On Nov. 6, members of the Muslim Student Association came to their usual meeting place, building 21-Q in the Apartment Area, and found it desecrated. Someone had left feces on the front steps of the student's place of meeting and prayer. "We are considering this a hate crime because there are bathrooms around the area," said Omar Howeedy, vice president of the Muslim Students Association. "I don't think anyone would want to do that with a good intent." The students removed the feces from their meeting place immediately because "we always keep it clean out of respect," Howeedy said. Though the students did not file a police report, they met last week with Officer John Tighe of the Coral Gables Police Department to discuss the case. "He told us that with the evidence gone there was nothing he could do," said Moiez Tapia, adviser to MUSA. Although the police may not be able to investigate this particular event, the MUSA executive board plans to e-mail President Donna E. Shalala detailing the event. Their goal in sending the e-mail is to raise awareness on campus that intolerance is still alive and among us. Dean of Students Ricardo Hall said that if any individual is found guilty, he or she may be suspended or expelled. Police on Wednesday released the 911 tape and dash cam footage of the brutal beating of a cab driver injured, as a community continues to seek justice in the case. The video shows Luis Vasquez punch and choke drier Shukvir Singh during a fight on the shoulder of Interstate 5 in Seattle. Shocked witnesses flooded 911 with calls. "It looked like a fender bender and then between the two cars, there's a guy (who's) got another guy pinned on the ground and he's stomping on his head," one caller told the 911 operator. Singh believes he was targeted because as a Sikh, he wears a turban. He says Vasquez called him an "Iraqi terrorist." Vasquez, 20, has been charged with a hate crime, and it's not the first time he has run into trouble with the law. According to police, Vaasquez was arrested last year for allegedly slapping his girlfriend during an argument. He is also accused of punching someone else's car during the same fight, leaving a dent. Singh's community has been rallying around him following the attack. On Wednesday, dozens of people gathered outside the Gurdwara Singh Sabha temple in Renton to pray for justice. According to a statement of probable cause file in court, Vazquez was kicked out of the Apple Cup at Husky stadium on Saturday and placed into a cab by two police officers who told the driver that Vazquez needed to be taken to his home in Kent. While the cab was southbound on Interstate 5, police said Vazquez began punching Singh in the head while calling him a terrorist. Singh pulled over and tried to run away, but witnesses told state troopers that Vazquez followed him, knocked him to the ground and continued to kick him in the head. "I can not imagine anybody who can do this to me," Sing said from his hospital bed on Tuesday. "He said to me 'you are a terrorist, you did the 9-11, and I will kill you.'" Singh said he knew he was being attacked because of the way he looks. He's not Iraqi -- he's Sikh. He said Vazquez was punching, chocking and biting him while spewing a string of racial slurs. A chunk of Singh's scalp is still missing, and he's being treated for problems with his kidneys and difficulty breathing. His condition is said to be improving. Singh's son told KOMO 4 News that his family is forgiving. "Our religion teaches us to forgive and everybody has a chance in life to help themselves," said Sinarnjeet Singh. " But Singh's attorney, Harjeep Rekhi, says he wants to see Vasquez charged to the fullest extent of the law. Simranjeet Singh tried not to talk about the sadness he felt learning that his dad had been hospitalized by a man police say was intoxicated and committed what is being called a hate crime in a freeway assault Saturday. Singh stuck to brief comments Wednesday night when pressed in front of TV cameras. The 17-year-old's hands fidgeted as he stood in front of more than 300 members of the local Sikh community who had gathered for a candlelight vigil, thanking them for their support. His dad, taxicab driver Sukhvir Singh, was allegedly called a terrorist during an attack that left bite marks, a concussion and hair ripped from his scalp. "Our religion teaches us to forgive," Simranjeet Singh said. Not everybody who prayed for the taxi driver Wednesday night at Gurdwara Singh Sabha of Washington knew the man, who police say had been beaten after picking up a man kicked out of Saturday's Apple Cup. But many knew the fear they say he felt. Earlier this month, Yellow Cab driver Baltej Singh, who is not related to the victim, said a man began assaulting him while driving on state Route 520. There have been several nights when he won't press customers for payment because they've been threatening or unstable, he said, and last weekend, a man refused to pay a fellow cabdriver after threatening him at gunpoint. Racial slurs are spewed by customers each weekend, Baltej Singh added, and physical attacks aren't uncommon. Two days after the Sept. 11 attacks, Swaranjit Singh was walking along Rockaway Boulevard in Queens when a young girl approached him and asked if he was going to bomb the neighborhood. Someone then drove by and admonished the girl for speaking with Singh, a Bayside real estate agent who is Sikh and wears a turban, saying he was a "bad man," Singh recounted at a conference yesterday about hate crimes. Later that day, police stopped him as he walked to ask him what he was doing, and another driver made an obscene gesture at him. Singh's painful personal stories of ignorance were among dozens shared by residents across New York as part of efforts to shed light on an uptick in hate crimes citywide over the past year. A Canadian Muslim who says racial profiling was behind Air Canada's decision to deny him a ticket to board a flight three years ago filed a formal complaint Tuesday with the Canadian Human Rights Commission. As a Sikh, Sukhvir Singh says he has encountered racial harassment before, but he never feared it could lead to his death. But on Saturday, police say, the Orange Cab driver withstood a violent attack from a drunken passenger who punched him, bit off a piece of his scalp, called Singh an "Iraqi terrorist" and threatened to kill him. The attack ended after a Metro bus pulled up to the cab and a passenger called 911. Luis Vázquez, a 20-year-old construction worker from Kent, was charged Tuesday with third-degree assault and one count of malicious harassment, the state's hate-crime law. If convicted, Vázquez faces up to a year in jail, according to a spokesman for the King County Prosecutor's Office. After the attack, Singh was treated at Harborview Medical Center and released. He was later admitted to Valley Medical Center in Renton and remains hospitalized because of kidney problems. He said it's unclear whether the problems are a result of the attack. Speaking from his hospital bed Tuesday, Singh said it is difficult to talk about the attack, but he is grateful for the outpouring of support from the community. "I live here, and I love America. I love to serve my community and my people here," said Singh, of Kent, a father of two. "It's very hard to think about." Singh was stopping at a Montlake neighborhood grocery to grab dinner Saturday before 8 p.m. when Seattle police escorted an obviously drunken man to his cab, said the cabdriver's attorney, Hardeep Rekhi. Singh, a cabdriver for seven years, said it's not uncommon for police to place intoxicated people in his cab so they can be driven home. Authorities say the passenger was Vázquez. They said he had been kicked out of the Apple Cup football game at Husky Stadium. While Singh was driving Vázquez home, Vázquez started calling him a terrorist and threatened to kill him, according to court charging documents. Singh said he worried for his life and the lives of other motorists as he drove down Interstate 5 at 60 mph. Singh pulled over just south of the exit for Interstate 90, according to charging papers. Vázquez followed Singh as he left the cab and continued the attack, court papers said. It was only when a Metro bus pulled up and Vázquez tried to board that the attack stopped, according to charging papers. Vázquez later told investigators that he was afraid of Singh because Vázquez "had a buddy in Iraq," according to charging papers. Singh isn't Iraqi. He's an Indian-born member of the Sikh religion, which claims up to a half-million followers in the U.S.
A hijab only poses a "long-shot" risk of injury to a soccer player, experts said Tuesday, as the debate continued over a 14-year-old Calgary girl's head scarf. Both Stephen Brown, a kinesiology expert at British Columbia's Simon Fraser University, and Maureen Simmonds, director of McGill University's school of physical and occupational therapy, said it wasn't impossible a hijab could injure a player. But the chances of it leading to any significant injury were remote, they said. "I don't know what sort of imagination you have to have to see this as a safety risk," said Simmonds, also a former soccer coach. The Alberta Soccer Association said this week that Safaa Menhem's hijab was too much of a safety risk for her to play, saying it could choke her if another played pulled on it. Police said the man accused of attacking a cab driver Saturday had been told to leave a football game because he was intoxicated prior to getting in the victim’s cab. Luis Vazquez, 20, was kicked out of the Apple Cup game at Seattle’s Husky Stadium because police said he was so drunk that he was a danger to other fans. Although the man was under legal drinking age, a Seattle police officer never cited Vazquez and instead ordered a cab driver, 48-year-old Sukhvir Singh, to drive him home, Singh said. As the cab was leaving the University District, Singh was bitten, punched, kicked, and had his hair pulled out by his passenger, who repeatedly called him an Iraqi terrorist, Singh said. His passenger is also accused of tearing the turban off of Singh’s head while Singh was on Interstate 5 driving Vasquez to his home in Kent. Singh said he is Indian, not Iraqi, and that his Sikh faith requires him to wear a turban. Singh’s attorney, Hardeep Singh Reckhi, said that even after his client got out of his cab in the middle of I-5 to escape the attack, he never fought back. Singh's attorney said local Sikh children often suffer in silence as targets of hate. “They are harassed, called ‘Osama’ and there’s even been incidents of eggs being thrown at students, so these kinds of things occur here,” said Reckhi. Singh is currently in the Valley General Hospital in Renton. His attorney said Singh is experiencing chest pain from being hit there and having kidney issues which he believes are related to the attack. The King County prosecutor's office filed charges today against a Kent man who is accused in last Saturday's hate crime assault on a Seattle taxi cab driver. 20-year-old Luis Arturo Vazquez is charged with one count of malicious harassment, the state's hate crime charge, and one count of assault in the third degree. The victim was a 48-year-old member of Seattle's Sikh community who is a taxi driver for Orange Cab who was attacked by a passenger last Saturday night. The State Patrol says Sukhvir Singh stopped his taxi in car pool lane on Saturday night on Interstate 5 near Columbian Way in Seattle in an attempt to escape the attack. Police reports say the attacker punched, choked and bit him, calling him an "Iraqi terrorist." The State Patrol say Singh was asked by police to take the man home after he was ejected from Husky Stadium during the Apple Cup football game. Vazquez is scheduled to be arraigned next Tuesday at the King County Courthouse in Seattle. If convicted as charged, the sentence range is 6 to 12 months in jail. A judge yesterday ordered Vazquez to be held on $25,000 bail. Members of Seattle's Sikh community are outraged after an intoxicated football fan attacked a Sikh taxi driver last weekend in what is being investigated as an apparent hate crime. "Sikhs here in this area want this handled appropriately and taken seriously as a hate crime," said Hardeep Singh Rekhi, an acquaintance of the victim's and local attorney who volunteers with The Sikh Coalition, a national support organization. "I've lived in Seattle my whole life, and I know this is something Seattle wouldn't find acceptable for its community members to do." The State Patrol still was investigating and interviewing witnesses, Trooper Jeff Merrill said. State troopers were called about 8 p.m. A Metro bus stopped next to the cab to block traffic after seeing the suspect attacking the victim in the road. Witnesses aboard the bus made dozens of calls to 911, Merrill said. "It should be alarming that we have this type of violence. We're in Seattle, and this is an educated city. We like to think we hold ourselves above this type of behavior," Merrill said. Bollywood star Amitabh Bachchan, senior Congress leaders and police officials figure in a list of 200 persons against whom Sikh organizations will file a fresh petition in the Supreme Court, seeking action against them for their role in anti-Sikh riots in Delhi in 1984. The All India Sikh Students Federation (AISSF) and New York-based 'Sikhs for Justice' Friday announced that fresh individual petitions would be filed against each of these 200 persons in the apex court to bring them to justice. The list includes names of Bachchan, Congress leader Jagdish Tytler, Bhajan Lal, Sajjan Kumar and several others, including police officers, for being directly and indirectly involved in rioting against Sikhs in Delhi and elsewhere in the aftermath of the assassination of then prime minister Indira Gandhi by her two Sikh bodyguards. "We want all these persons to be brought before law and be punished for what they did to innocent Sikhs," AISSF president Karnail Singh told reporters here. A security guard at Toronto's Pearson Airport was ordered off the job for wearing a skirt that's too long. Halima Muse, a practicing Muslim, was laid off without pay by the Canadian Air Transport Security Authority until she agrees to wear a standard uniform that includes either slacks or a skirt that falls at the knee. Not willing to oblige by the rules, she took matters into her own hands and filed a complaint to the Canadian Human Rights Commission saying she was the target of religious discrimination, since Islam instructs that she dress modestly. Muse, 33, claims that she's never had any problems with her employer in the five years that she's worked there, until now. She told media that her decision to sport the longer skirt was not a matter of personal style, it was about dignity. In a statement she made to the Commission, Muse said she never liked the uniform pants that she used to wear because they showed the shape of her body. So she asked the person in charge of work attire for a skirt that's longer than the standard one, but was told it didn't exist. So she went out and bought material matching in colour and made her own skirt that reached her ankle. In the aftermath of September 11, 20-year-old Stanford University student Valarie Kaur set out across the country to document what she called "the stories not being told, the faces not being seen." Kaur visited Northeastern Tuesday to share her story and film. With no film experience and her cousin as her camera man, Kaur traveled the United States to record the experiences of Arab-looking Americans after September 11. Her experiences and footage developed into the full-length documentary "Divided We Fall." "It has been quite a journey," Kaur said. "I just jumped in my car with my cousin and a camera, and it completely changed my life." Kaur began her journey by focusing on her community, the Sikhi, a religious group centered on peace and contribution to the community. Many Sikhi's were targeted after September 11 because of their turbans, a required religious garb for men. According to Kaur's film, many people had the misconception that wearing a turban equated to being a terrorist. One loss in the Sikhi community was that of Balbir Sodhi, who was shot by self-proclaimed patriot Frank Roque in Mesa, Ariz., in front of his family-owned gas station hours after donating everything in his wallet to families of September 11 victims. The Sikhi community was horrified by the hate crime and by how dangerous its own country had become for them. In one day, they had gone from being an American to being an "other in this us-against-them war." "The movie was very moving to me," said Diana Mai, a sophomore art major. "It's not just about being Muslim. It's about others. It's about racism and what it means to be an American." What it means to be an American was the prevailing theme of the movie, which touched on the Japanese-American experience during World War II and the interment camps they were forced to enter to prove their patriotism. Members of the Asian American Center (AAC) said students could have an impact on the meaning of being American. "I first saw this film at an Asian American Student conference at Yale," said Christina Ho, a member of AAC who sponsored the event. "I left basically with a mission to bring this to our campus because we have a really great international affairs program, we have really compassionate people, and we really have an energy to create change at this school." Kaur said she hopes the movie will generate change. She spoke to the audience about how she wished the perception of a man wearing a turban would change. She said when she sees a turban she thinks of her cousins, her uncles and her lifestyle. When uninformed people outside of her community see turbans, they see a dangerous threat. With each screening of "Divided We Fall" Kaur said she feels she is getting her wish. The plan, aiming at spotting potential enclaves where terrorists might develop, had been criticized by many. In its place, the department will try a 'community outreach' strategy. The LAPD today abruptly scrapped its controversial plan to create a mapping program for the city's Muslim community, saying instead it would focus on a "community outreach" strategy more palatable to local civil rights activists. The decision marks a major retreat for the department, which had said the mapping was necessary to better identify isolated Muslim communities where home-grown terrorism could breed. But over the last week, the plans has been roundly criticized by Muslim groups and civil libertarians, and others have questioned whether it's possible to map the far-flung community. Los Angeles Police Department Deputy Chief Michael P. Downing said today that in the wake of the protests, officials would drop the mapping aspect of the plan but continue its attempt to make inroads into the Muslim community through outreach efforts. In a document reviewed by The Times last week, the LAPD's counter-terrorism bureau proposed using U.S. Census data and other demographic information to pinpoint various Muslim communities and then reach out to them through social service agencies. Originally, the LAPD planned to partner with USC's National Center for Risk and Economic Analysis of Terrorism Events to help build the mapping program. But after details of the effort were made public last week, USC officials said they were carefully studying whether to join the endeavor. During Oct. 30 testimony before Congress, Downing described the program broadly as an attempt to "mitigate radicalization." At that time, he said law enforcement agencies nationwide faced "a vicious, amorphous and unfamiliar adversary on our land." [P]ardon us if we are uncomfortable with the idea of the police department compiling maps of those it sees as susceptible to violence. That starts from the premise that race or nationality or religion defines susceptibility -- a prescription for profiling if ever we've heard one. And it puts judgments about race and religion in the hands of an agency that has hardly evidenced subtle thinking about those topics. After rifling through every civil lawsuit in Portland month after month, you start to cast aside certain suits almost without a second glance. Auto wrecks. Slip-and-falls. And the always-popular wrongful termination. This suit comes from the latter category, but it caught our eye for a colorful (alleged) quote that's included—supposedly verbatim—in the complaint. Journalists like to use quotes because they bring the characters in our stories to life. I'd like to encourage local lawyers always to do the same in their court filings. In a lawsuit filed Friday in Multnomah County Circuit Court, Salahadin N. Treki, 48, of Newberg, claims he was hired in June 2005 as a full-time moving and storage worker at Rose City Moving & Storage Co. in North Portland. According to the lawsuit, Treki faced discrimination on the job because he is a Muslim of Libyan origin. The lawsuit says he was denied a pay increase and was falsely accused of taking long breaks. A Windsorite who owns a cutting-edge London, England hair salon says a lawsuit against her, for not hiring a hijab-wearing Muslim, will bankrupt her if it's successful. Sarah DesRosiers, who runs Wedge hair salon, is being sued by Bushra Noah, 19. Noah, a Muslim, said she was a victim of discrimination after failing to land a job at the salon. DesRosiers said she wasn't being discriminatory. She said Noah, who refused to remove her headscarf, wasn't right for the job because she needs employees to show off their "funky" hairstyles to the public. A Sikh pupil who has refused to stop wearing a religious bangle or Kara to her south Wales school has been excluded for a third time. Sarika Singh, 14, had returned to Aberdare Girls' School in the Cynon Valley, after a temporary exclusion, for a meeting to discuss the issue. The school has said that by wearing the Kara, Sarika was breaking its code of conduct. Her family have said they will now seek a judicial review. On Tuesday morning, Sarika and her mother Sinita Singh and two officials from the Valleys Race Equality Council (VREC) held a 20-minute meeting about the school's refusal to allow the pupil to wear the Kara. After the meeting, Wayne Lee, of the VREC said: "Sarika is very upset and wants to go back into school. She's a good student and she wants to see her friends, like any other 14-year-old. "I can't discuss what was said in too much detail, but Sarika has been excluded from school again. I don't know yet for how long, we will find out in due course." HUMAN rights group Liberty has given a school two weeks to let a 14-year-old Sikh girl attend classes wearing a silver bangle that symbolises her commitment to the religion. 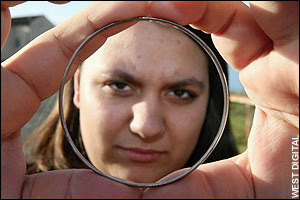 Last week Sarika Watkins-Singh was excluded from Aberdare Girls’ School after refusing to remove the kara bangle. The school says she is in breach of a prohibition on the wearing of jewellery, but Sarika maintains she has a legal right to assert her religious beliefs. Yesterday, Liberty solicitor Anna Fairclough wrote a pre-action letter to the school, warning that if the matter is not resolved in Sarika’s favour within two weeks, an application for a judicial review of the decision to ban her from wearing the kara will be lodged with the High Court. Los Angeles officials on Friday defended a plan to detail the city's Muslim community, saying it is an effort to increase understanding and knowledge and not a move to profile people based on race or religion. "I would urge people to step back and not get involved in the rhetoric," Los Angeles Police Chief William Bratton said. "We are doing a good-faith effort in a transparent way to increase understanding. We are meeting with various groups and will continue to have a dialogue. "This is about community engagement. We got hung up with one word, `mapping,' that conjures up images of racial or religious profiling. I want us to move forward, and this is about not using the wrong words or wrong symbols." The reaction came after the Los Angeles Police Department revealed a plan to create a map detailing Muslim communities in the city, an effort described as a step toward thwarting radicalization. The Canadian owner of an "urban, funky, punky" hair salon is being sued for religious discrimination for refusing to hire a Muslim woman in a headscarf as a stylist. Sarah Desrosiers, 32, originally from Windsor, Ont., says she turned down applicant Bushra Noah as a junior stylist to maintain the image of her salon. She told Noah, 19, that she needed staff to display their hairstyles to the public, but the devout Muslim insisted that wearing her headscarf was essential to her beliefs. Noah, who has been rejected for 25 different hairdressing jobs after interviews, is suing Desrosiers for the equivalent of $30,000 for injury to her feelings plus an unspecified sum for lost earnings. Desrosiers, who set up her Wedge salon in King's Cross, north London, 18 months ago, says she faces financial ruin if she loses the case and would be forced to close. She denies any discrimination and insists it is an "absolutely basic" job requirement that people should be able to see a stylist's hair. "When a potential client walks past on the street, they mostly look into a salon at the stylists to get an impression of what haircut they are going to get there," said Desrosiers. "The image I have built my salon on is very urban, funky, punky. That is the look I am going for. "The essence of my line of work is the display of hair. To me, it's absolutely basic that people should be able to see the stylist's hair. It has nothing to do with religion. It is just unfortunate that for her covering her hair symbolizes her religion. "I now feel like I have been branded a racist. My accountant is Muslim. I have never discriminated against Muslims. My name is being dragged through the mud and I feel victimized. "This girl is suing me for more than I earn in a year. I am a small business and have only had my salon a year and a half." Desrosiers said she has spent about $2,000 defending the case. "I am prepared to stand up in court but if I lose this lawsuit, my whole business will fold," she said. "I cannot even afford a lawyer at the moment and am having to plan fundraising activities to cover legal costs." In legal papers setting out her employment tribunal claim, Noah alleges she was discriminated against at her interview in March and wrongly turned down for a job she was capable of doing because of her headscarf. "On the phone, Sarah sounded very keen on me because of my experience and qualifications. I sent her my CV and she invited me in a few days later for a trial day. "I had no problems wearing my headscarf in the other salon I worked at. "I am British-born and I know the urban, funky look. Just because I wear a headscarf does not mean that I do not follow the latest trends and fashions." "I just thought that Sarah should not be allowed to get away with it and that if I don't stand up for myself, no one else will." Is the Los Angeles Police Department snooping on Muslims? Critics say a police counterterrorism effort to identify and map Muslim communities amounts to religious and racial profiling — investigating residents based on what they look like, or where they worship. But city officials defended the effort Friday, depicting it as "community engagement" aimed at welcoming sometimes insular Muslim groups into all aspects of city life. It is about transparency, not clandestine surveillance, they said. Police respect "the civil and human rights of Muslims," Mayor Antonio Villaraigosa said. Deputy Chief Michael P. Downing said objections are coming from people who "don't really understand what we are doing." "We are not looking at individuals. We are looking at groups and communities," the chief said. Police want to be viewed as "trusted friends." There are an estimated 500,000 Muslims in Los Angeles, Orange and Riverside counties. The Police Department is trying to identify the location of Muslim enclaves to determine which might be susceptible to "violent, ideologically-based extremism," Downing said Thursday. The intent, he said, is to "reach out to those communities," including Pakistanis, Iranians and Chechens. Several Muslim groups and the American Civil Liberties Union of Southern California sent Downing a letter expressing "grave concerns." It was signed by representatives of Muslim Advocates, a national association of Muslim lawyers; the Islamic Shura Council of Southern California; and the Council on American-Islamic Relations. "Singling out individuals for investigation, surveillance, and data-gathering based on their religion constitutes religious profiling that is just as unlawful, ill-advised and deeply offensive as racial profiling," the letter said. Testifying before Congress in October, Downing said his bureau wanted to "take a deeper look at the history, demographics, language, culture, ethnic breakdown, socio-economic status and social interactions" of the city's Muslim communities. Downing plans to meet with Muslim leaders Thursday. Salam al-Marayati, executive director of the Muslim Public Affairs Council, said he would withhold judgment until hearing more from police next week. "Muslims should be treated as partners, not suspects," he said. Miss Noah, who has been rejected for 25 different hairdressing jobs after interviews, is suing Miss Desrosiers for more than £15,000 for injury to her feelings plus an unspecified sum for lost earnings. Miss Desrosiers, who set up the Wedge salon in King's Cross, North London, 18 months ago, says she faces financial ruin if she loses the case. She denies any discrimination and insists it is an "absolutely basic" job requirement that cus-Yesterday, Miss Desrosier said: "When a potential client walks past on the street, they look into a salon at the stylists to get an impression of what haircut they are going to get there. hree Muslim former employees of the Exxon Mobil gas station on I-95 in Delaware have filed a $12 million federal civil rights suit against the petroleum giant, alleging discrimination, harassment and retaliation. The suit charges that the three Delaware residents – Sofiene Romdhani, Michelle Maloney and Bobbi Joe Zeller – were targeted by superiors because of their religion at the company-owned and -operated service station at the Delaware rest stop near Newark; that they were refused reasonable accommodations to take off for religious observances and mocked for their faith; and that Exxon Mobil officials ignored their repeated complaints. “As an equal-opportunity employer, Exxon Mobil is committed to providing a work environment that fosters mutual employee respect and working relationships which are positive and productive,” said Beth Snyder, public affairs adviser for Exxon Mobil. According to one of the plaintiffs, a regional manager told them, "I'm not here to accommodate your religious beliefs. I am running a business, not a religious community … I don't have to do anything … I'll get each and every one of you out of here." The women said they were taunted by both managers and other employees at the station for their religion – one time finding the word "Terrorist" and other profanity scrawled in the cashier's booth where they worked. Both also allege that management not only refused to make minor accommodations for their faith but ordered them to do things in direct opposition to Islam, like cleaning men's bathrooms. The women said their complaints to the company were ignored, and Maloney, in the suit, said she felt she had no choice but to resign in August 2007. The two women also filed charges with the Delaware Department of Labor, but according to the suit, both claims are still being processed. The suit was filed by the Washington, D.C., firm of Katz, Marshall & Banks with the Wilmington firm of Martin & Wilson as local counsel. The three also worked with the American-Arab Anti-Discrimination Committee, which is supporting the group in their claims. The ongoing debate over "reasonable accommodation" has been cause for significant unease and discomfort for many Canadians. However, rather than demonstrating clear leadership by addressing those concerns constructively, some of our political leaders have exploited the issue for short-term political gain, creating even greater unease. As our society becomes more diverse, it is natural for a conversation about our evolving identity to arise. However, the key to success lies in that conversation being grounded in respect and dignity rather than mistrust and division. The dialogue should focus on how we build a community that contains respectful space for all of our cultural and religious traditions to interact and contribute within the laws and norms of a liberal society. We are witnessing a toxic version of that conversation unfold today. Naturally, the notion of "reasonable accommodation" might mean different things to different people, and that gap in understanding is being used to polarize Canadians into "us" and "them." Some opportunists suggest that multiculturalism is a threat to the very essence of Canada and Quebec; these fears are entirely unfounded. Aside from stoking ill-founded fears, none of the opportunists has demonstrated how one Canadian's expression of their faith or culture diminishes those of others. How does allowing a Muslim to wear a hijab or a Sikh to wear a turban diminish the rights or beliefs of others? These expressions of faith do not require any compromise by others because they are simply individual life choices. Clearly, they are red herrings in the "reasonable accommodation" hysteria. Of course, there may be instances when respecting someone's cultural or religious practices necessitates some accommodation, like requesting a prayer space or providing for special dietary needs. However, such requirements are both minimal and reasonable. Last month was the 78th anniversary of Persons Day, which celebrates the date in 1929 when women were declared "persons" under Canadian law. Looking back, we might find it strange, or even absurd, that women were not legally "persons" in this country. However, I wonder if the opponents of women's rights in 1929 might have argued that such an extension of legal rights was an accommodation that threatened the "Canadian way of life." The fear that the Canadian way of life will be lost if we accommodate others is based on a narrow view of this great country. Canada prospers because our identity is robust and open to new ideas. For example, bilingualism likely would not have survived if not for Canada's values of respect and inclusion. Some have argued that "multiculturalism" fosters division and segregation. On the contrary, it is a policy that appreciates the reality of this country by promoting healthy integration balanced with respect for difference. Many Canadians are immigrants or the children of immigrants who emigrated from countries that brutally denied minority rights and demanded assimilation. For those Canadians, it must be disheartening to see strains of their native lands' assimilationist policies arising in Canada under the cover of a debate on "reasonable accommodation." Rather than exploiting misunderstanding and fear, political leaders should be bringing Canadians together. They ought to reassure us that celebrating Diwali does not mean the rejection of Christmas, and accommodating Kosher dietary requirements does not mean banning the consumption of pork. Unfortunately, the separatist parties and the governing Conservatives have been fuelling anxiety by jumping on the unreasonable accommodation bandwagon. Xenophobia is largely driven by fear of the unknown. Political leaders can act responsibly by demonstrating that diversity is not a zero sum game; diversity holds the promise of economic prosperity for Canada and cultural richness for its citizens. The process of nation-building is delicate and difficult. But, does that mean we should shy away from what is required to continue building the best country in the world? In this new millennium, Canada is well-positioned to leverage its great strengths and lead the world economically, politically and socially. The mother of a 14-year-old Sikh girl is planning a legal challenge after her daughter was excluded from her school for wearing a religious wrist bangle. Sarika Singh was sent home by the school after she refused to remove her silver Kara bangle as she felt it was “a constant reminder to do good.” Aberdare Girls School in south Wales said it had a clear code of conduct and it had temporarily excluded a pupil for refusing to accept a ruling from the governors.Jane Rosser, the head teacher, said that wearing the Kara was against regulations because it was a piece of jewellery. The only two forms of jewellery that girls were allowed to wear in school were a wrist watch and one pair of plain metal stud earrings. However the Sikh girl's supporters claimed the school's decision infringed her human rights. The girl's mother Sanita Singh, 38, said she was taking legal advice and was considering seeking a judicial review. She had the support of several local politicians and the Sikh Federation UK, she added. "I don't believe in putting pressure on children to follow a certain religion, but Sarika decided for herself that she wanted to be a practising Sikh,” Mrs Singh, a mother-of-two, added. Sarika, of Cwmbach, near Aberdare, said: “I am a Sikh and it is very important for me to wear the Kara because it is a symbol of my faith and a constant reminder that I should only do good work, and never do anything bad, with my hands. “It is a comfort to me and a confidence booster when I am doing my exams. The reason I am fighting for my right to wear the Kara is because I want to stand up for the right of all the other Sikh pupils across the country to wear their Karas in school.The governors rejected the girl's request to wear the bangle after examining the uniform policy and human rights legislation in detail. The family has been backed by the Valleys Race Equality Council, whose director is the former Welsh Secretary Ron Davies. He said: “We have arranged for her to see a solicitor and an application will be made to the High Court for a judicial review of the school's decision. The strict imposition of the ban on the wearing of religious symbols in public schools continues in France and more and more girls from the Muslim community now take off their headscarves before entering the schools. However, the Sikh community is still resisting and trying hard to get a Sikh school to sidestep the law. These Sikhs live in a country where the law insists on separating religion from the state and where people in general find overtly religious behaviour shocking. The ban on religious symbols from public schools in 2004 has made things even tougher for them. ''They threw me out of school. I got a letter saying I can't study at school,'' said Maha Singh. NDTV: So where do you study now? Maha Singh: I don't. I work with my father. Gurdayal singh, a local businessman says he's all set to run a school that respects all French norms. It's been two months since the inauguration of the school building but the French education authority is not allowing them to hold classes. ''The first commission asked us to make changes all of which we made and then another commission said do this and that. It seems they are creating confusion again, by saying on the one hand that you can go ahead but then using the commission to block approvals,'' said Gurdayal Singh. For now, religious camps are held in the campus and trainers insist that this should not be viewed as religious activism but simply an effort to give back to the children their lost confidence. ''The French think that the turban is just like an object that you put on when you pray, like it is for other people in other faiths. I think it's just a bit of miscommunication and a bit of cultural ignorance,'' said Loveleen Kaur, Trainer. Sarika Singh refused to take off the religious symbol because it is "a constant reminder to do good". Aberdare Girls School said it has temporarily excluded a pupil for refusing to accept a governors' ruling. Sarika's mother Sinita said she would challenge the decision. The uniform policy does not allow pupils to wear any kind of religious symbols. Mrs Singh said she has the support of several local politicians and the Sikh Federation and is taking legal advice. Mrs Singh said: "It's not jewellery, it's part of our faith and symbol of our belief." The scent of pungent spices wafts from garages morning and night as some of this south metro city's newest residents prepare meals outside to keep cooking smells out of the house. A local produce company is growing traditional Indian vegetables. And an area high school has broadened its celebration of international cultures. Cultural assimilation is taking place on two fronts in this city 15 miles south of Monument Circle: Hundreds of new Sikhs are adapting to life as Hoosiers, and Greenwood residents are learning about Indian traditions. "It's something as a community that we have to sort of adjust to," said Greenwood Mayor Charles Henderson. "As much as I need to understand them, they need to understand us. The changes have arrived swiftly in Greenwood, an overwhelmingly white, mostly Protestant city of nearly 45,000 just south of the Marion County line, where officials recently approved plans to open the metro area's third Sikh temple. An estimated 2,000 Indian Sikh families have settled in the small cities and suburban neighborhoods south of Indianapolis, most in the past two years. Many were lured by the area's lower housing costs and its crossroads location on trucking routes. The first to arrive spread the word, and the population has increased as much as tenfold in two years, some estimate. "When I come here, I love it," said Jatinder Singh, a trucker who moved from Washington state. "I also love the people in this area." Many of the changes are playing out in the Homecoming at University Park development off Main Street in Greenwood, home to many Sikhs and within walking distance of the site of the new temple on Graham Road on the city's eastside. Henderson attended a recent Sikh service inside a two-story brick home in Homecoming that is serving temporarily as a temple. He was honored for supporting the Sikh community. As they wait to move into their new temple, or Gurdwara, members of Greenwood's Sikh community worship at the house, surrounded by other homes in a typical suburban neighborhood. After the ceremony, Sikhs gathered outside for a traditional meal of roti (similar to a tortilla), lentils, vegetables, rice and yogurt. Henderson, 65 and a lifelong Greenwood resident, wore a suit and tie. He also wore an orange head covering, customary of Sikhs, and ate karah parshad, a sacred pudding of flour, sugar and butter distributed at the end of religious ceremonies. "Diversity is something that a lot of people shudder at," Henderson said. "There was a time when diversity was only black and white. Now diversity is multi-colored." Elaine and Steve Dougherty, who own S&E Produce and Flowers, have begun growing native Indian vegetables on their Clark Township farm, a short drive from Homecoming. Local Greenwood residents have taken a liking to barq, a squash-like vegetable that Elaine Dougherty said is delicious on the grill topped with a sprinkle of Parmesan cheese. "It's definitely changing," Elaine said of Greenwood's cultural landscape. "We have to learn to work together. They're asking things of us that we've never heard of before." Schools near Greenwood also have been adjusting. What started out as a Punjabi American Culture Fair last year at Whiteland High School has evolved into the International Cultures Fair at the insistence of the Indian Sikh students. The majority of Sikhs -- the world's fifth-largest religion -- live in the Punjab region of northwest India, and their first big immigration to the United States began in the late 1890s. In addition to cultural offerings, the school has an English-as-a-new-language class, as well as resource study halls designed for students with limited English proficiency. An instructional assistant at the school is from India. Whiteland High's demographics have changed dramatically in less than a decade. The school had a 1 percent minority population in the 1998-99 school year. The minority population now stands at 14 percent, including about 110 Sikh students. "We're hoping the school has been a valuable asset, because this also has been a community change," said John Schilawski, assistant principal at the school. "We're hoping we can be in the forefront in helping facilitate that." As Sikhs adjust to a new way of life, some of their traditions have found their way to Greenwood. Many are used to cooking in their garages so that pungent odors from onions, garlic and ginger do not seep into their homes, said Beenu Sikand, a Realtor who has sold about 200 homes to Sikh families. A Sikh who moved to Indianapolis from northern India 16 years ago, Sikand also acts as a translator. "I feel bad for all of the other Americans who live (near Sikh neighbors)," she said, trying to suppress a chuckle. "Every day and morning, they have to smell ginger, garlic and onion." Many baptized Sikhs carry a kirpan, a ceremonial blade that resembles a dagger. Because of the dastar, or turban, long beards and sari, Sikhs are often mistaken as Muslim. The two religions are not related. "All of this can be misunderstood," said Philip Goff, a professor of religious studies and director of the Center for the Study of Religion and American Culture at Indiana University-Purdue University Indianapolis. The Sikhs gave a presentation to Henderson and local police officials two years ago about their culture. "I told them, 'This is the Sikh population. They look Muslim, but they are not Muslim," Sikand said. "They dress like that, but there is a difference." Greenwood officials say there have been few problems. "I don't know of any kind of harassment or any kind of discrimination against them," Greenwood Police Chief Joe Pitcher said. "It's been a good relationship." Sikh leaders plan to renovate and move into an existing residence on the 4-acre Graham Road site, east of I-65, and use it as a temple until they're ready to build a new temple there. Last month, a city board approved a special zoning exception to allow the temple in a residential area. It would serve about 200 families, many of whom live, like trucker Jatinder Singh, in Homecoming at University Park. Neighbors of the temple site have voiced concern about increased traffic on Graham, which narrows from four to two lanes as it approaches the temple. Jeannine Nelson said she and her neighbors would alert the city to any traffic snarls. "Every time one thing goes wrong, there will be a complaint," said Nelson, 47, who lives with her husband, Don, about a half-mile south of the temple. "And every neighbor will do the same. Everyone is so unhappy about this." Sikand, a Realtor for 21st Century Diversified, sold her first home to a Sikh follower in Plainfield two years ago. Like Singh, the buyer was a trucker and just happened to stop in Central Indiana. Word got out, and the Sikh population has mushroomed. Most have come from California, New York and New Jersey. Many discovered they could buy $200,000 homes in Indiana for what they were paying for apartments in California. The majority of them, according to Sikand, are truck drivers, with a few convenience store owners and grocery and restaurant owners sprinkled in. "They bought very big, nice homes," Sikand said. "They are happy." Sikand often visits her clients in Homecoming, where she likens that atmosphere to a mini Delhi, India's second-largest city, as adults chat and children play outside. "It feels like home," she said, "and the U.S.A."
For Sikhs such as Chanchal Singh, a leader in the local Sikh temple, Greenwood is now the place that they call home. "We would like to tell the other members of the community here in Greenwood that from the outside we look different, but from the inside, our hearts are the same," said Singh, 37, after the ceremony last week honoring Henderson. Canadians could be forgiven for thinking veiled Muslim women pose an urgent threat to the integrity of our electoral system after Prime Minister Stephen Harper made one of his first priorities in the fall sitting of Parliament a bill to force voters to show their faces at the polls. But there is not one shred of evidence that such a problem existed in the first place. Even Harper's Conservative government has admited "there was no apparent case of fraud" in three federal by-elections that were held in September in Quebec, when unjustified hysteria over veiled Muslim women first boiled over. Yet that has not stopped Harper from trying to fix this imaginary problem by proposing changes to the country's election law that would require voters to show their faces before they cast their ballots. The opposition parties are just as guilty of stirring up this issue, even though the Liberals and NDP now appear less enthusiastic about the measure than they did only a month ago. Harper has tried to dress up the bill as a means to "enhance public confidence in the democratic process." But it has nothing to do with electoral integrity and everything to do with pandering to narrow-minded fears about minorities, particularly in Quebec where a troubling debate over "reasonable accommodation" is now raging. Glaring inconsistencies in the proposed legislation only highlight that Harper and other federal politicians are shamefully playing cheap politics at the expense of Canadian Muslims. For one thing, the bill does little to achieve Harper's stated goal of improving the visual identification of voters. Voters are still not required to show photo identification in order to vote. They can present two pieces of non-photo ID approved by Elections Canada instead. One acceptable combination is a debit card and a bank statement, neither of which contains a photo, age or physical description. In that case, showing your face might prevent you from voting twice, but does nothing to establish who you are in the first place. Nor does it prove anything to show your face while being vouched for by another voter, another method of getting a ballot. At the same time, Canadians temporarily living overseas who vote by mail do not have to show their faces to election officials. Approximately 80,000 people mailed in their ballots in the 2006 election. Why isn't Harper worried about them? By singling out veiled Muslim women, Harper and others have seized on one of the most visible signs of difference in our multicultural society in order to make a point: If minorities want to exercise all their rights as Canadians citizens, they need to act more like "us." Absent real security concerns, Harper is sacrificing the openness and inclusiveness on which this country was built in order to appeal to the ethnic prejudices of a few. That is not the Canadian way. An immigration detention center in Elizabeth, New Jersey reversed a ban against turbans last week. Three detained Sikh men were barred from wearing turbans for months. The facility changed its policy three weeks after the Sikh Coalition intervened. Three Sikhs are currently detained for immigration violations at the Elizabeth Detention Center (EDC) by Immigrations Customs Enforcement (ICE) of the Department of Homeland Security. EDC is run by a private government contractor, Corrections Corporation of America (CCA). The men were put in detention at various times within the past 15 months. CCA disallowed them from wearing their turbans during this time. On October 7, 2007, a family friend of one of the Sikh detainees contacted the Sikh Coalition requesting assistance. The Coalition then contacted the family of the detained man, and subsequently was able to communicate with all three Sikh detainees. All three asked the Coalition for help to persuade the detention cention to allow them to wear their turbans. The Sikh Coalition spoke to the Chief of Security at EDC on October 12, 2007. The Coalition explained that their refusal to allow Sikh detainees to wear turbans violated: 1) ICE's Detention Standards regarding Religious Practices, and 2) the Religious Land Use and Institutionalized Persons Act. The Coalition also raised the issue in a memorandum to ICE officials on October 17, 2007 in preparation for an interagency meeting in Washington, DC hosted by the Department of Justice. The next day, the Legal Aid Society of New York and the Coalition also sent a joint letter to the detention center's Warden, explaining that CCA was violating the law. On October 22, 2007, the Warden contacted the Legal Aid Society and indicated that the center would allow the men to wear their religious headwear subject to safety and security considerations. The Coalition and Legal Aid Society attorneys discussed the Wardens' concerns with the detainees. There is a new debate in Monroe County related to Governor Spitzer's plan to give driver's licenses to illegal immigrants. The debate has worked its way into the county legislature races. It has to do with a campaign mailing sent out by the Republican Party. It is not so much what it says but what it shows that has members of the Islamic community upset. The flyer suggests that county legislature democrats want to license potential terrorists and the literature contains images intended to depict terrorists. "Seeing these things are very wrong for me to see it in that way it means someone is profiling me that I'm a terrorist," said Dr. Muhammad Shafiq. Dr. Shafiq is the Imam at the Islamic Center on Westfall Road in Rochester. He says the images are offensive to Muslims and believes the Republican Party is using fear tactics to persuade voters. "Especially as a Muslim, it looks very very wrong the way they portrayed the pictures as linking Arabs and terrorism, equalizing them to terrorism, is racial profiling," said Dr. Shafiq. County clerk Cheryl Dinolfo disagrees. "I really do take issue with that way of thinking because, again, that piece is about not one particular nationality," said Dinolfo. Dinolfo says licensing illegal immigrants could jeopardize the security of the entire nation. She uses 9/11 as an example. "They treated me like a terrorist; I'm anything but a terrorist," said David Al-Watan, one of the men detained by American Airlines. "We didn't do anything wrong, but they made everybody scared of us." The men who filed suit are: David Al-Watan, Talal Cholagh, Ali Alzerej, Hassan Alzerej, Hussein Alsalih and Mohammad Al-Saedy. A published report has opened a window on the world as Donald Rumsfeld saw it during his tenure as Defense Secretary. At the Pentagon, Rumsfeld's memos were known as snowflakes. There was a blizzard of messages from his office. The Washington Post obtained some of the wartime defense secretary's 20,000 memos including one that drew sharp responses today from the White House and a leading Arab American group. According to the Post, Rumsfeld contended that Muslims avoid "physical labor." He expressed the belief that oil wealth removed Muslims "from the reality of work, effort and investment that leads to wealth for the rest of the world." His memo said, "Too often Muslims are against physical labor, so they bring in Koreans and Pakistanis while their young people remain unemployed." Rumsfeld also warned, "An unemployed population is easy to recruit to radicalism." White House press secretary Dana Perino said Rumsfeld's observations were "not in line with the president's views." She said she could understand why Arab Americans would be offended by the comments attributed to Rumsfeld.